It's a question that pushes us to think for ourselves. That question doesn't inspire me, but this man in California does. 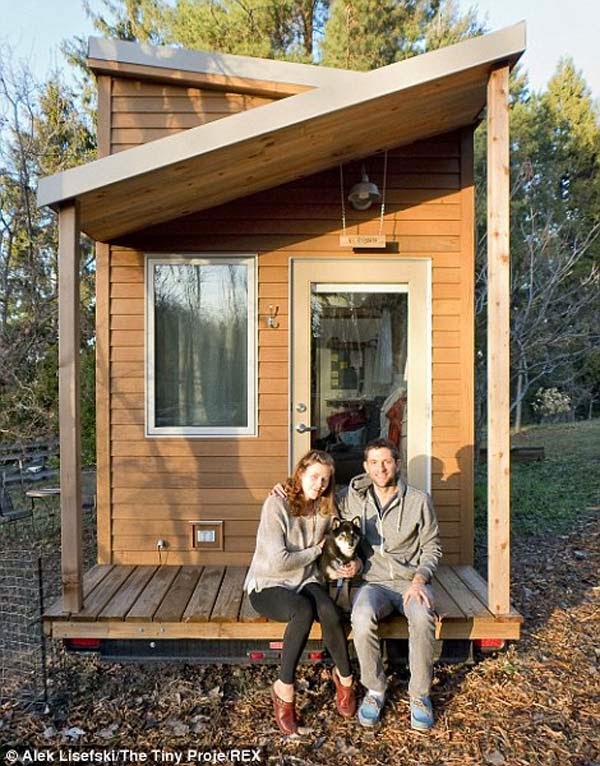 Alek Lisefski is a web designer who decided to take everything we know about building a house and flip it on its head. 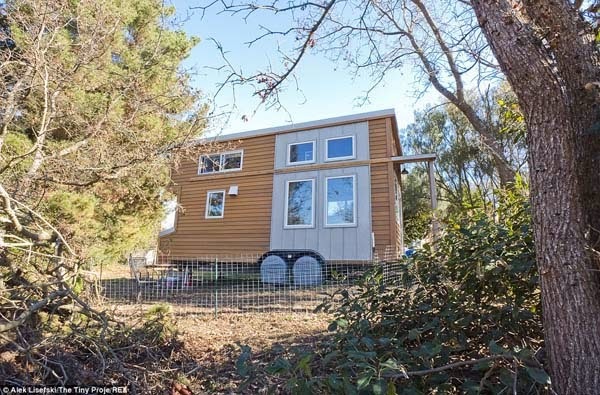 Instead of going in debt for hundreds of thousands of dollars, he built his own home for the low, low price of $30,000. It's only 8x20ft, but that's what makes it awesome. 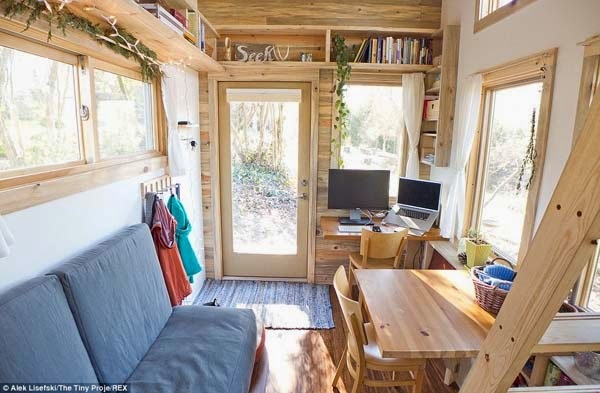 It's a tiny house, it's mobile and it looks so cool I would give anything to live in it for a day. 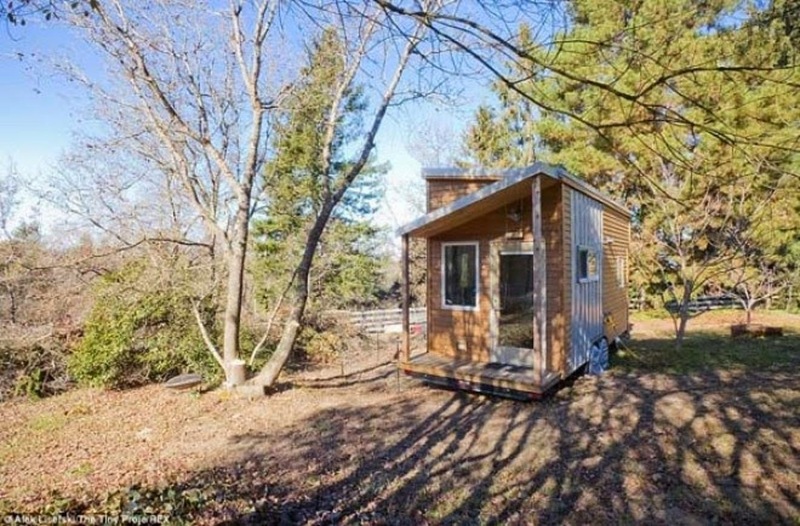 Alek wanted to change his focus in life, so he built this small house. 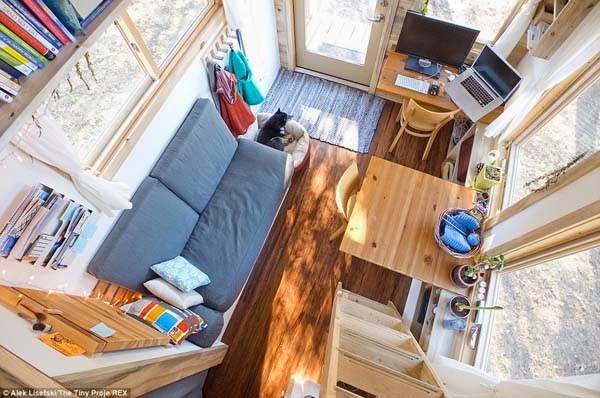 “Inhabiting such a small space will force me to live in a simpler, more organized and efficient way.” He, his girlfriend Anjali and their dog Anya moved into the tiny house that he built. 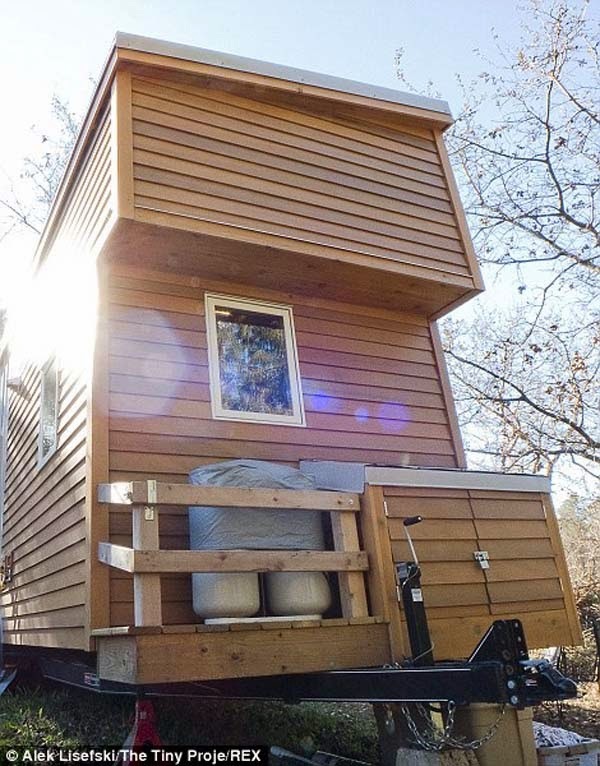 The home was built on top of a trailer while he was still in Iowa. Upon completion, he towed the house all the way to California, where the small family now resides. Instead of focusing on paying off debt, they can instead spend their money on leisure and travel. Not only that, but the small space won't distract Alek from his work. 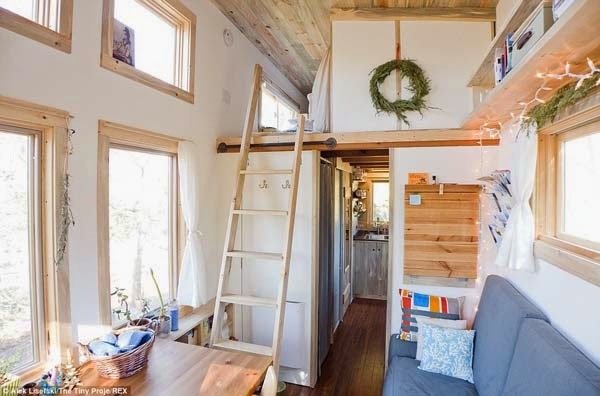 All of the natural light makes the tiny house seem bigger than it is. 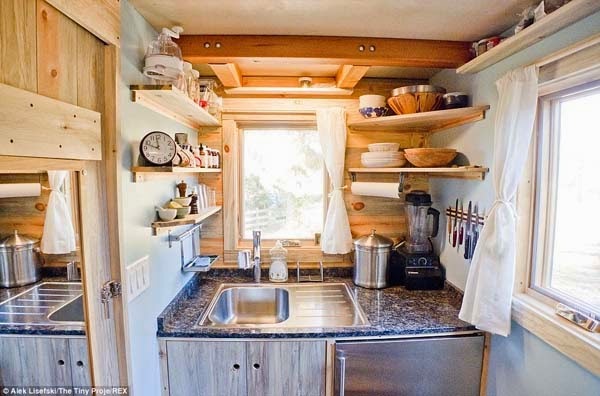 The little nooks and design of the house doesn't make it seem cramped. Every space in this house is functional. 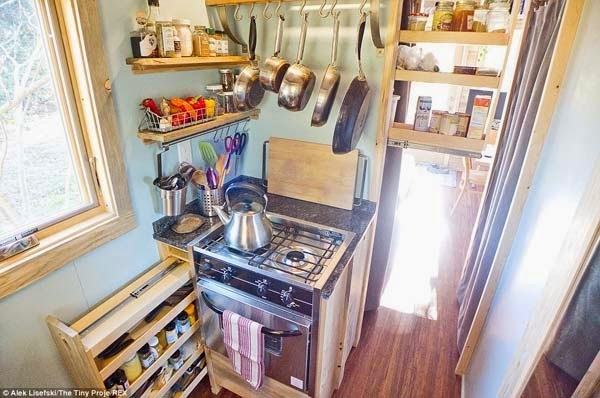 There is even room for a full (but tiny) kitchen. Slide-out drawers hide pantry shelves and spices. 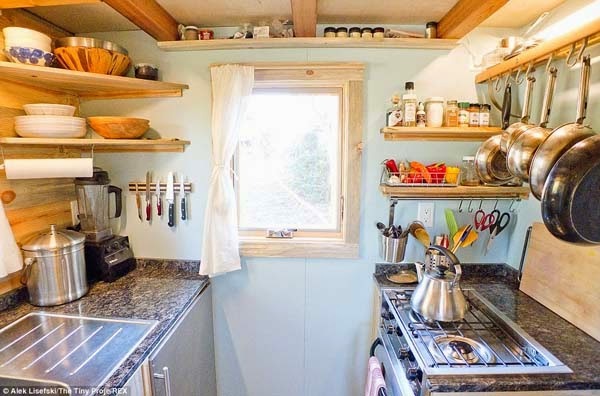 While the walls are lined with shelves to help with kitchen storage. The bathroom is small but functional. 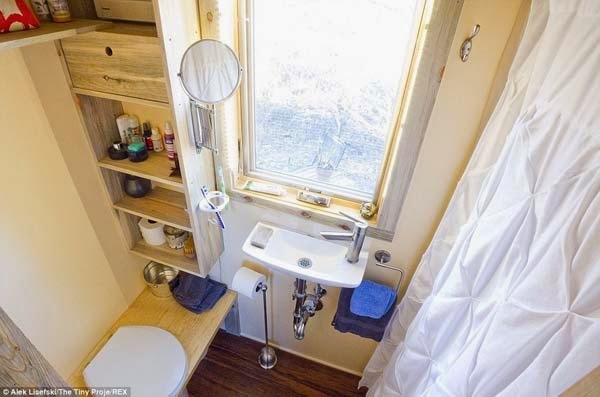 The tiny sink doesn't take up much space, nor does the shower. 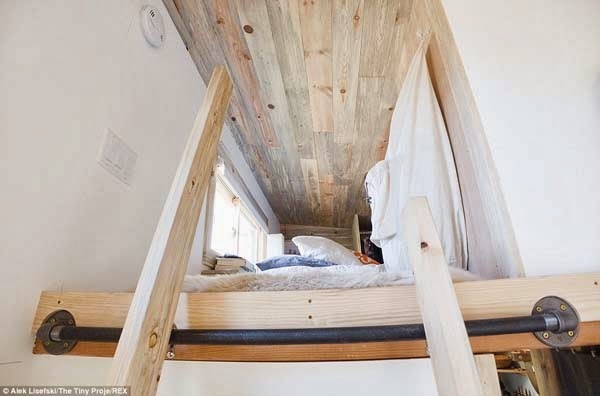 On the second floor of the house is a loft. 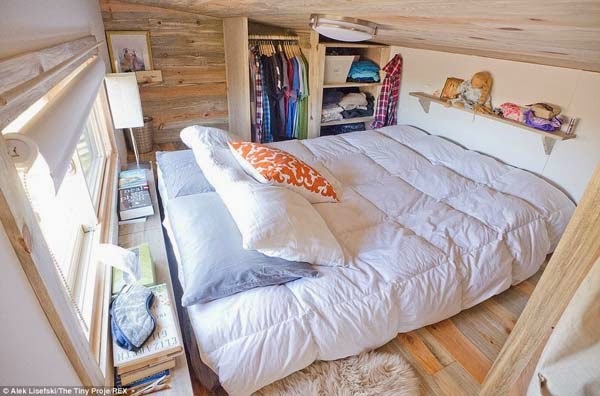 It's used as their bedroom with a full mattress. 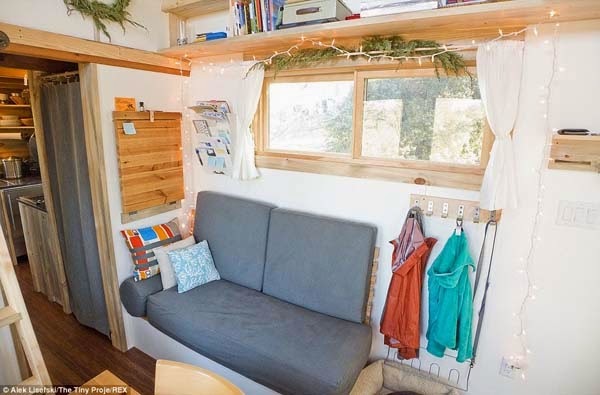 The small space isn't oppressive, in fact, it's snug and comfortable. 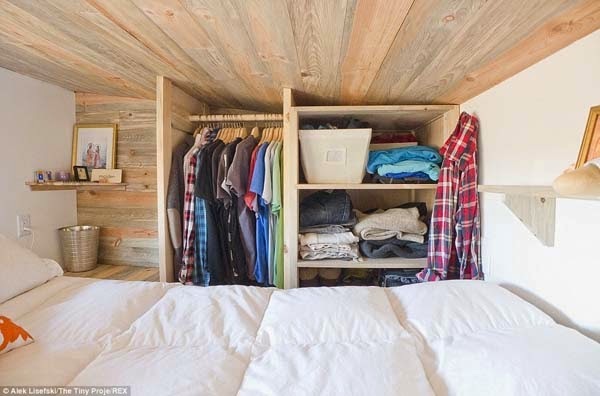 There's even room for closet space along the wall. 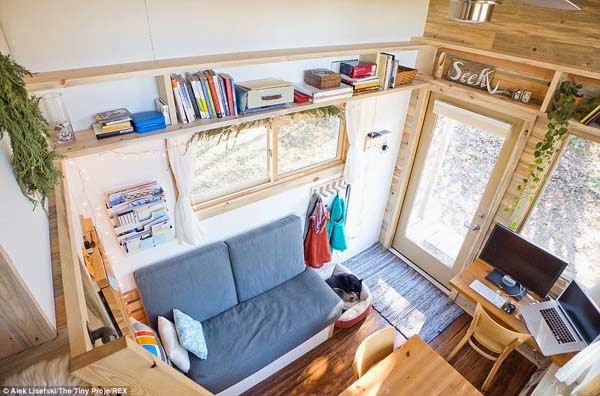 Tiny houses may not be right for everyone, but the tiny house movement is growing more popular. More people are realizing that you cannot measure your happiness by the square footage of your house. 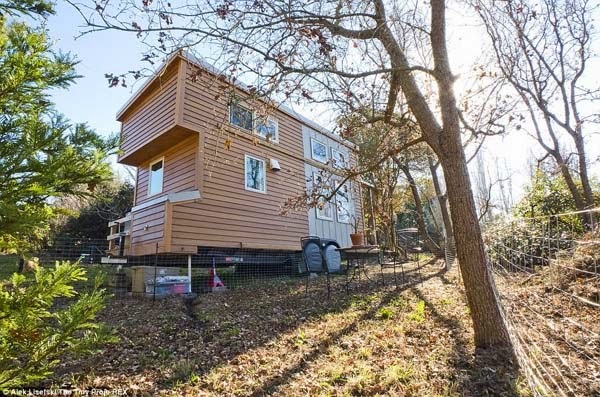 Instead of going deep into debt to afford a huge house, the people who build tiny houses are freeing up their money and building their dream homes at the same time. 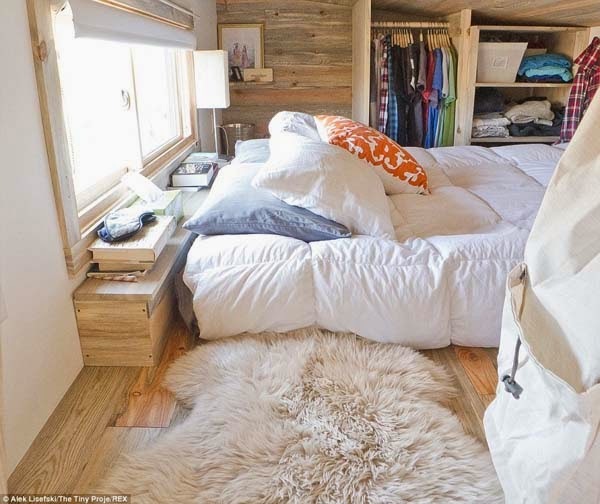 Even if this isn't right for you, we think you should share Alek's cool house. It's tiny, but we love it.